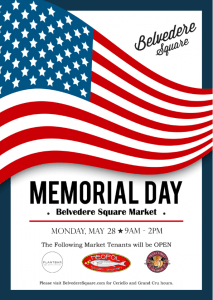 In observance of Memorial Day, Belvedere Square Market space will be open from 9am – 2pm on Monday, May 28th. Please be advised that only Plantbar by Zia’s, Neopol Savory Smokery and Prigel Family Creamery will be open for business during this time. In addition to the Market, Ceriello Fine Foods will be open from 8am – 2pm. Grand Cru’s hours are TBD. We’d like to give a special thank you the men and women of our Armed Forces who have given their lives while defending the freedoms of our country. 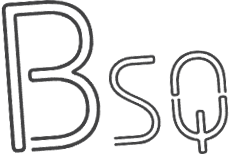 We wish everyone a safe and happy Memorial Day weekend and hope to see you soon at the Square!